Whenever I get ready to cook something vegan and healthy, I already know what my family's reaction is going to be. "Why can't you cook normal food for once? ", is what my brother usually says accusingly. "Oh, a normal dessert would have been fine too, honey. ", that's my dad's reaction. Yeah, I guess you could say my family still has to get used to my 'lifestyle change'. Although I've been a vegetarian for nearly four years now, the change to being vegan is quite 'radical' according to my parents. 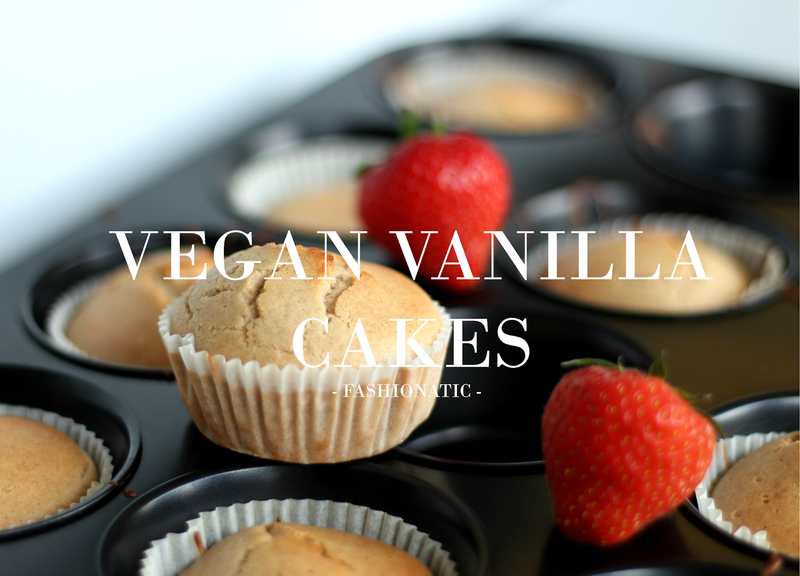 Anyway, that was a long introduction for a basic dessert: vegan vanilla cakes. * Mix the flour, sugar, baking powder and salt in a large bowl. * Use an other bowl to mix the soy milk, olive oil, lemon juice and vanilla extract together. * Pour the liquids in your bowl with the flour and mix it up. 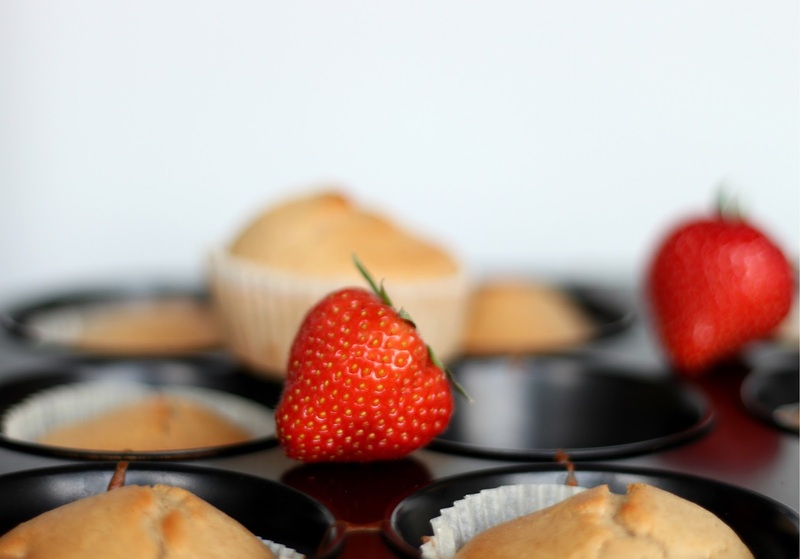 * Pour the liquid batter into paper-lined muffin tins. 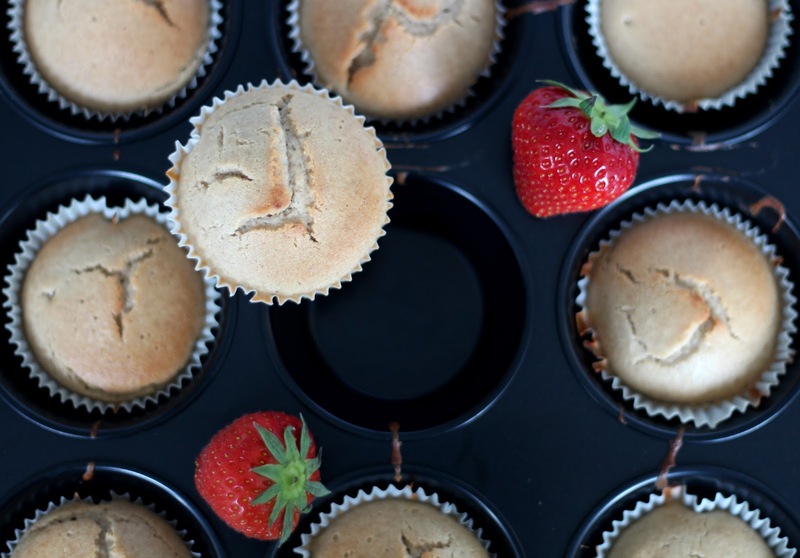 * Bake the cupcakes for about 20 minutes on 180°C and let them cool down. 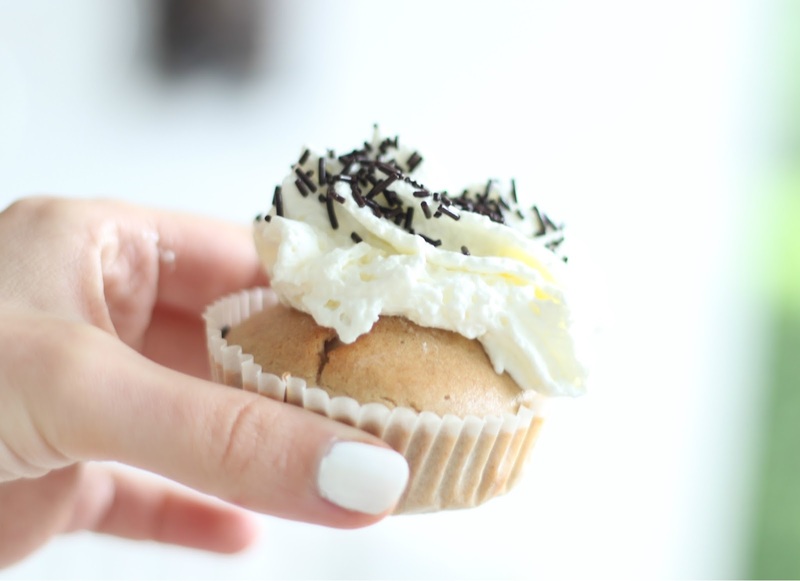 You can decorate them with your favorite frosting and enjoy! These look amazing! Although I'm not vegan, I will usually choose the vegan option since I'm dairy free! 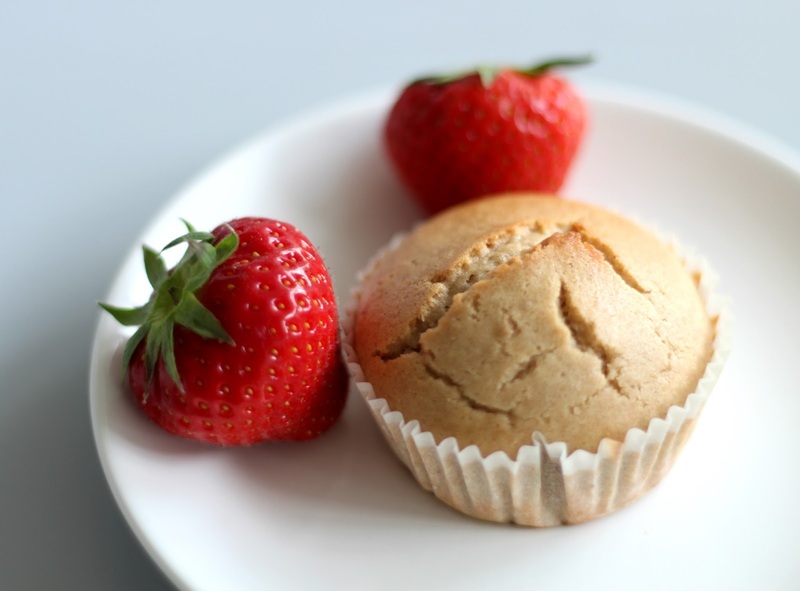 <3 Great post and thanks for the recipe!